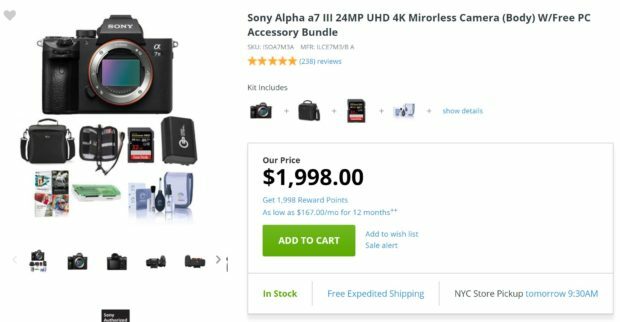 Up to $150 Free Accessories for Sony a7 III Black Friday Deals now Live ! You can get up to $150 free accessories when buy Sony a7 III at Adorama, B&H Photo, Focus Camera. Sony a7 III will be one of the most popular mirrorless cameras at this year’s Black Friday & Cyber Monday shopping season. Though there will be no price drop on Sony a7 III during holiday, but you can get a lot of free accessories when buy Sony a7 III at Adorama, B&H Photo, Focus Camera. 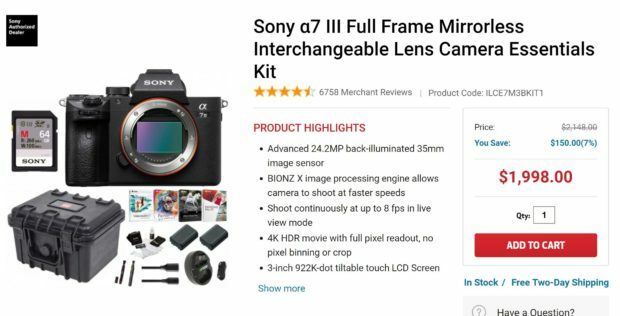 See more Sony a7 III Black Friday deals here. Next Next post: Sony a9 Firmware Update Version 4.0 Released !